Yesterday i had a good appointment with my specialist and he is writing me a report which will hopefully be thorough and supportive of my DLA claim and make it worth going to the appeal tribunal… he asked to see the DWP medical report in order to criticise it and correct any incorrect assumptions, so that is looking promising. Then, this morning the tribunal papers came through in the post, so i have another little form to send back in the next few days, if i want to continue. I am getting quite concerned now that it is getting closer and more real, that i have not got representation. I have been reading other people’s experiences, talking to people who know about these things, and the consensus seems to be that without representation it is a nightmare and they can rip your argument/statements to shreds in seconds… i was told by Welfare Right Service when they said they could not take my case on, that the tribunal panel will go easier on me because i am representing myself, but i am not convinced. Either i meet the criteria or i don’t, but the thought of having to be coherent and consistent for 45 mins to one hour about details of my condition, what i am capable of, what i can’t do etc, particularly with a fluctuating condition as mine, fills me with horror. Particularly after the experience of the DWP medical i had, where i just felt so ill from the effort and stress of going that i could hardly walk/speak or think clearly and it was so traumatic that i spent the next 8 days largly in bed recovering… the tribunal is certainly a more stressful thing and i think i need help. So, still lots to sort out for DLA, and no sign of it being over any time soon! It would be nice to have it done before Christmas, as it has been hanging over me for so long. 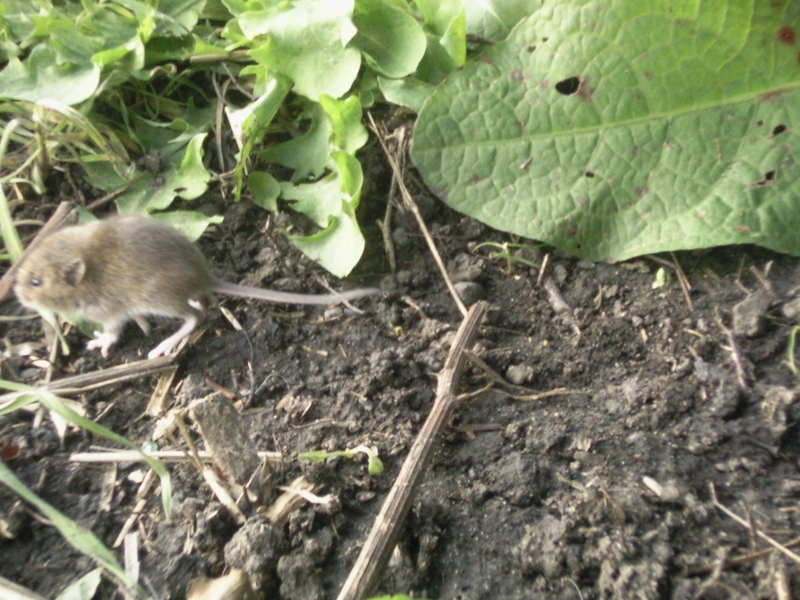 Took the dog out the other day and saw a mouse! This may seem unimportant but it made my walk actually pleasurable, which is happening less and less as i find it so hard, and it is nice when you don’t have to go trekking in the undergrowth or up a mountain to see wildlife! As i tend to stay in a five minute radius of my house it is nice to see something different.